Spud in the Box is a six piece alternative rock band from Mumbai. Since their formation in 2011, the band has gone on to garner popular and critical acclaim for their tight, energetic live performances and accessible songwriting. 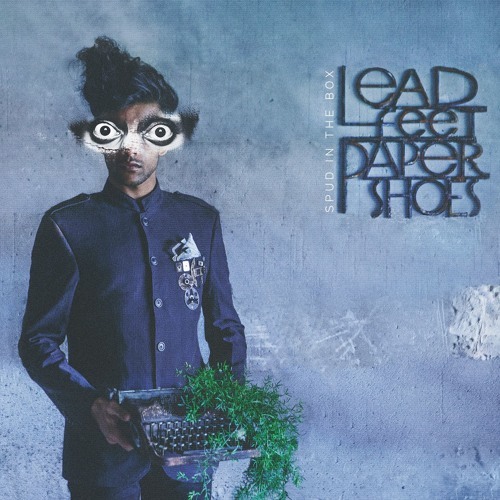 Currently, they're gearing up to release their debut full length album, "Lead Feet Paper Shoes". SitB has played at some of the most popular music festivals in India, such as - A Summer's Day, Bacardi NH7 Weekender, The Kala Ghoda Festival,The Pepsi MTV Indies launch, Live from the Console, India Music Week,The M.A.D. Festival, Ragasthan, the Revival of the Bandstand festival, and the Celebrate Bandra Festival.They were also the first act to play atop the Red Bull Tour Bus in India. They have opened for Grammy award winning artist Norah Jones and have played alongside the biggest names in India like The Raghu Dixit Project, Indus Creed, Scribe, Shaa'ir + Func, Soulmate, Junkyard Groove, Nikhil D'souza, Ankur Tewari, Blackstratblues, etc. Spud In The Box have a young, dedicated fan base who make their presence felt at all their live shows and on various online social media platforms. Thanks to their fans, Spud In The Box was awarded "Best Rock Band - People's Choice" at the Radio City Freedom Awards for which the nominees included veteran acts like Indus Creed, Agnee,Thermal and a Quarter, Parikrama and more. With over 1 lakh 50,000 views on YouTube, Spud In The Box is one of the most eagerly watched acts in the Indian independent music scene. SitB boasts of a continually expanding fan base with over 10,000 followers on facebook and over a 1500 on twitter.